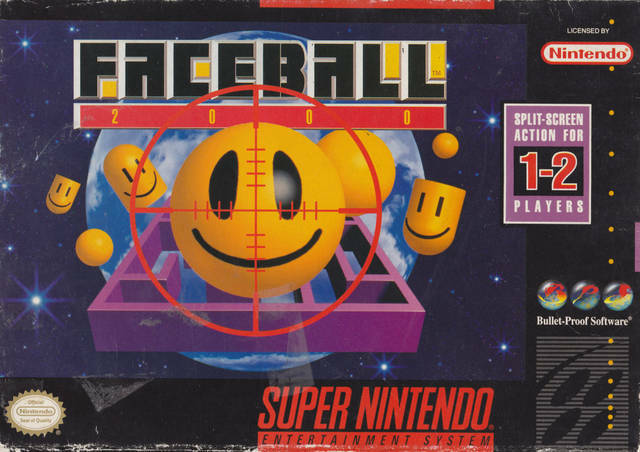 Faceball 2000 for Super Nintendo features 41 mazes with two styles of play. There is also continuous 360-degree maneuverability and all kinds of high-tech weapons. Faceball 2000 also includes one or two-player capability.